A fight broke out between three men at the Roseville Galleria in Roseville, California over a pair of shoes on Black Friday (video below). Lawrence Corpus, who was shopping with his family, pulled out his iPhone and began recording the fight, reports CBS Sacramento. Corpus&apos; video of the fight has already been viewed over 15,000 times on YouTube. Corpus told CBS Sacramento: "You could feel the intensity of the fight as it happened. So it was something I felt like I had to document." One witness told CBS Sacramento: “I know a guy took the top of a trash can and actually threw it at [one of the other men]. Guys started punching each other and then they ran over the barrier of the jump thing, and the guy started getting his face stomped in. It was pretty crazy." 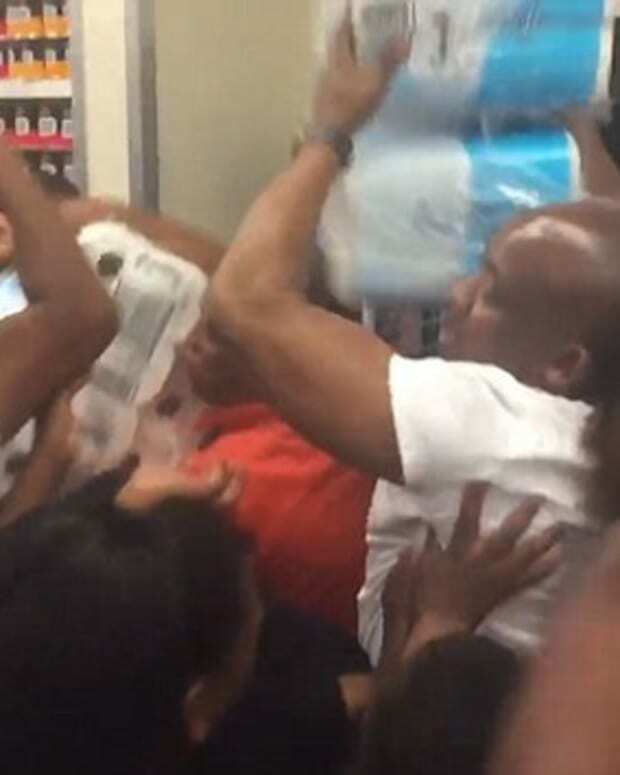 As the men fought, two women started getting into it, as shoppers ran.